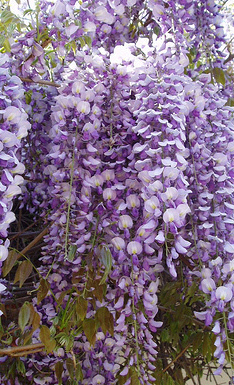 This delightful wisteria we've all admired on a pergola or arbor has now been trained into our classic tree form. 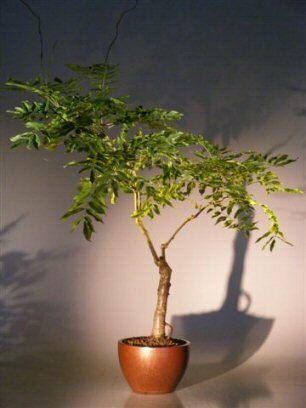 Most widely planted Wisteria in the U.S. With its shiny, bright green foliage which falls in the autumn, and fragrant pea-like purple flowers dangling in clusters, this bonsai tree is a magnificent show stopper when in bloom and will bloom in considerable shade. Deciduous. Keep outdoors.